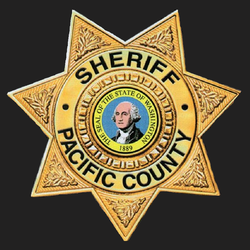 The Pacific County Sheriff's Office processes civil papers that come from the courts, businesses, and private individuals. This includes but is not limited to Summons & Complaint, Notice & Complaint, Summons & Petition, Notice of Small Claim, Restraining Orders, Writ of Restitution, Writ of Execution/Order of Sale, etc. In order to serve documents, staff will need to collect as much information as possible including addresses, phone numbers, employment information, and deadline for service. Papers cannot be served to a post office box or personal mail box. Multiple attempts for service will be made based on how much time there is to serve and the ability to locate the person(s) you wish to have served. We do not guarantee service. The Sheriff's Office cannot provide legal advice, nor can we recommend an attorney (RCW 36.28.110).